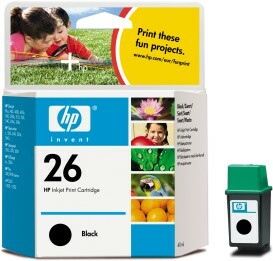 HP 51626A (HP 26) Black Premium Quality Remanufactured Inkjet Cartridge designed to work in the HP 2276a/ 2277a/ 2279a DeskWriter, C2121A/ C2124A, DesignJet 200/ 220/ 600, DeskJet 200cci/ 400/ 420/ 500/ 505k/ 510/ 520/ 540/ 550c/ 560c/ Plus, DeskWriter 400, OfficeJet 300/ 330/ 350 printers. Also fits some Agfa, Apollo, Apple, Citizen, Daewoo, DEC, Encad, Olivetti, Olympia, Panasonic, Pitney Bowes, Sharp, Siemens, Stielow, Triumph Adler, and many other printers. Genuine HP 51626A (HP 26) Black Inkjet Print Cartridge fits the HP DeskJet 200/ 310/ 311/ 320/ 340/ 400/ 420/ 500/ 520/ 540/ 550/ 560/ Portable, DeskWriter 310/ 320/ 340/ 400/ 500/ 510/ 520/ 540/ 550/ 560/ C printers. Also fits some Apollo, Summagraphics, Encad, Summagraphics, Novajet, and Xerox printers. Genuine Tally Genicom LA30R-KA Black Dot Matrix Ribbon designed for the Genicom 960 / 965 Dot Matrix Ribbon Printers ( 2M character yield). 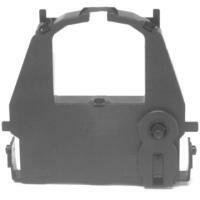 Also fits some Fujitsu and DEC printers.